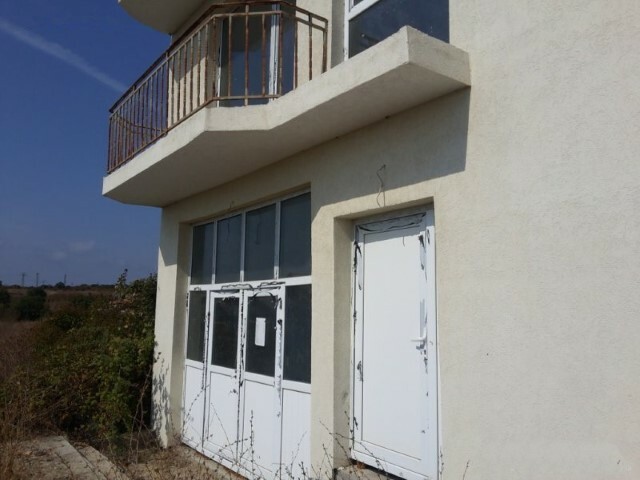 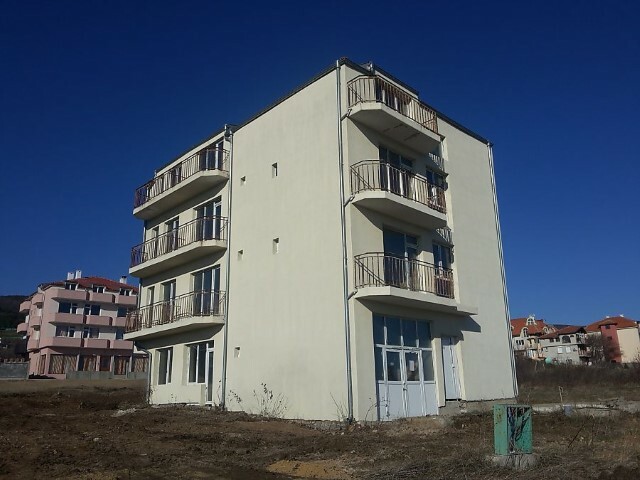 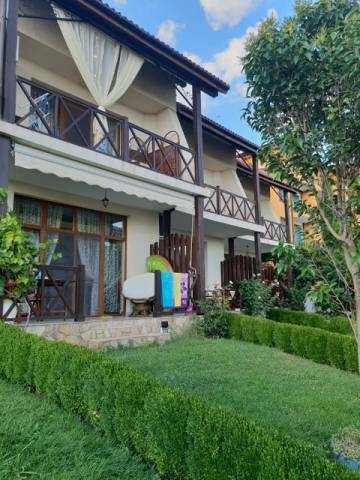 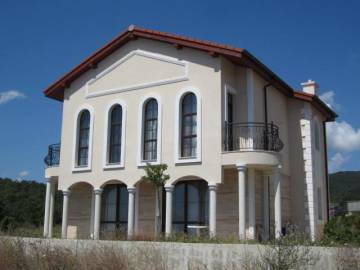 Location: The house is located in "Intsaraki" area in the town of Sveti Vlas, about 500 meters away from the main road connecting the town with Sunny Beach Resort. 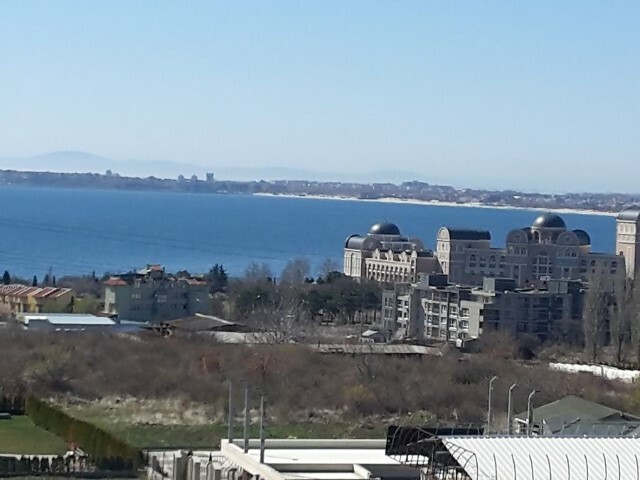 The distance to the sea is about 1км. 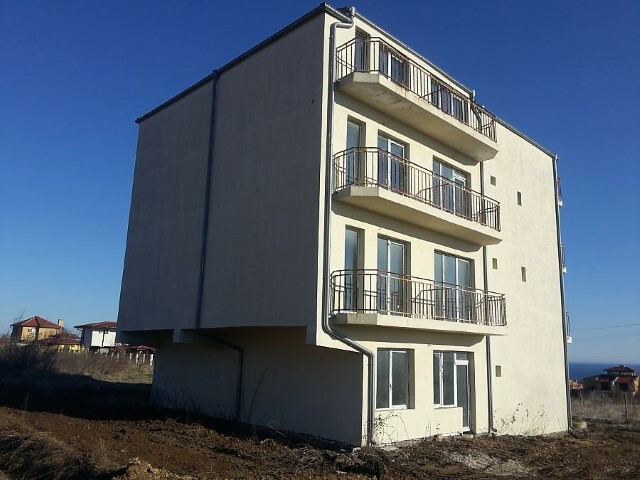 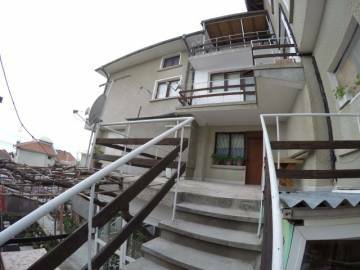 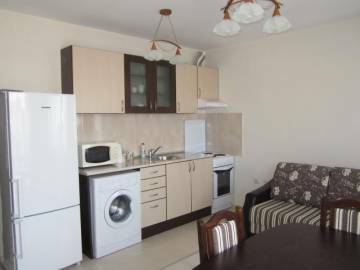 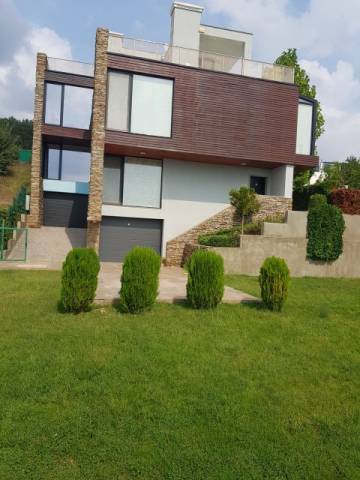 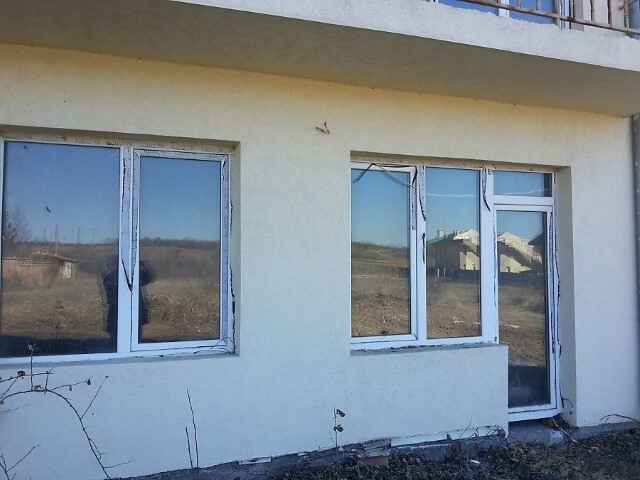 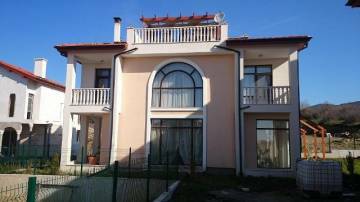 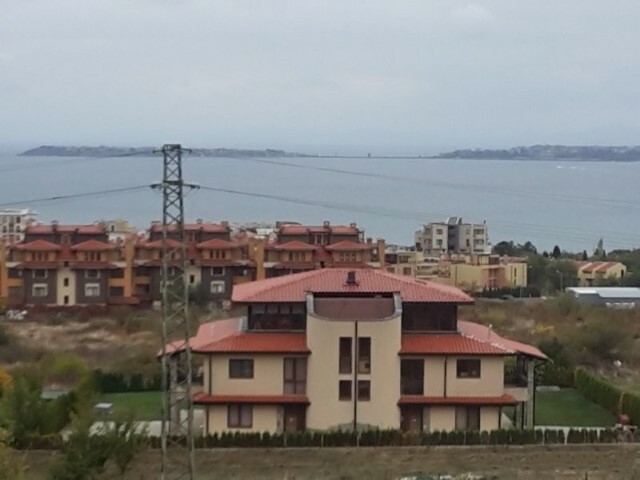 The house has a panoramic view of the sea, Sunny Beach and the Old town of Nesebar on one hand and to the forest slopes of the Balkan Mountains, on the other hand. 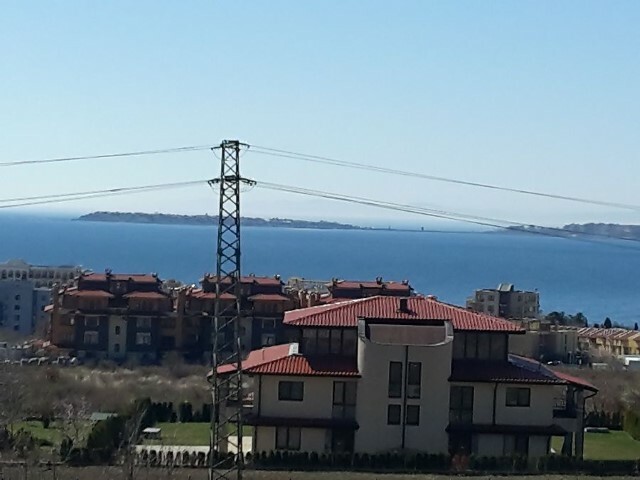 Nearby is situated a bus stop for the line Sveti Vlas - Sunny Beach - Nesebar and new hypermarket Grand Mercury. 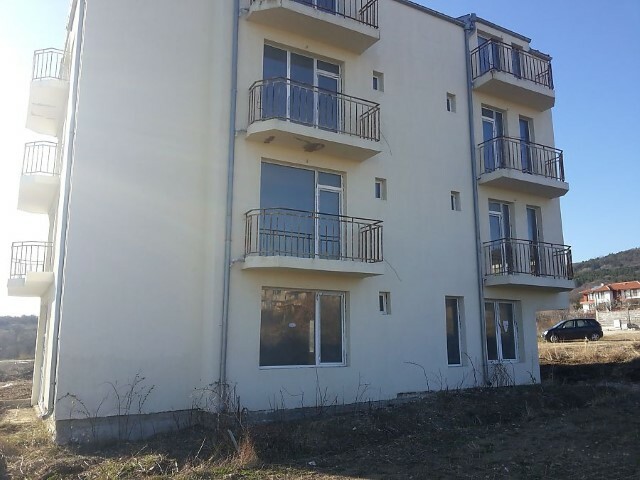 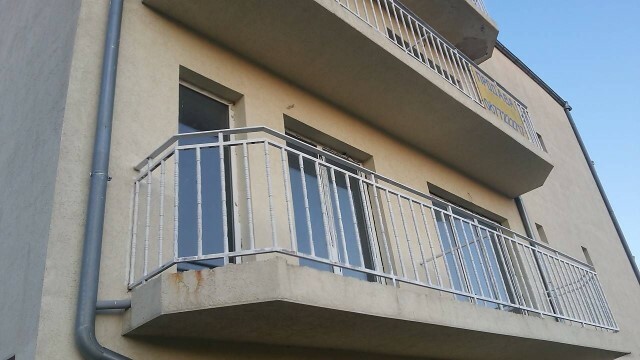 Description: We offer for sale a new, solid, four-storey building with a total built-up area of 531,50 sq.m and yard with an area of 378 sq.m. 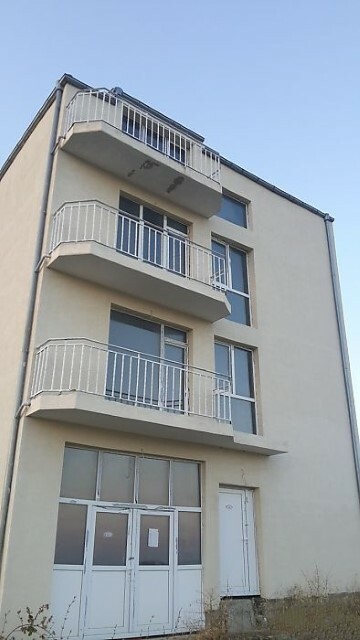 It consists of four identical floors. 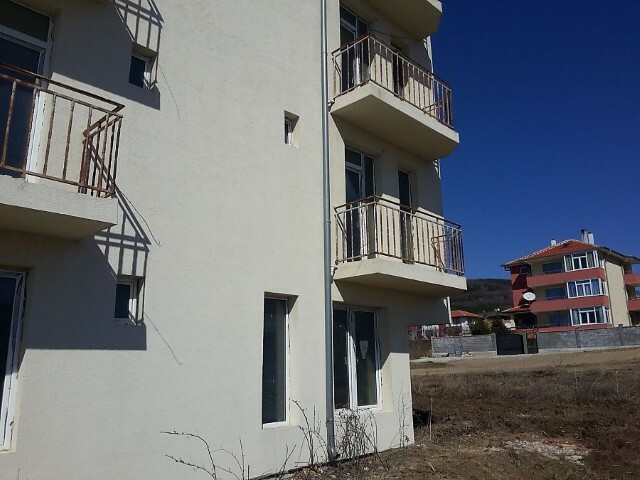 On each floor are situated two apartments - one bedroom and two bedroom with two sanitary units with a total area of 139,50 sq.m or a total of 8 apartments. 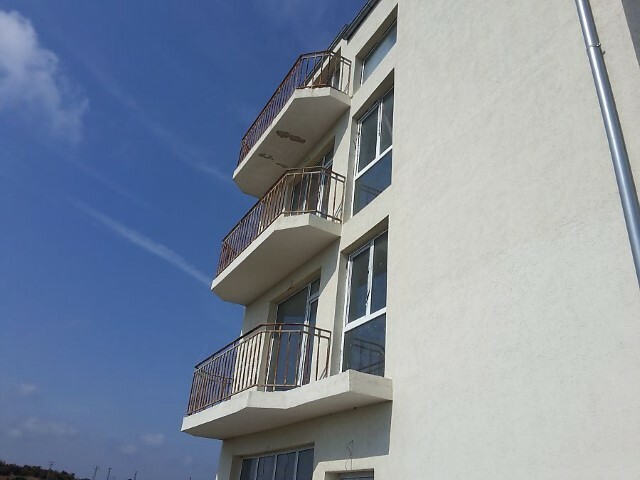 All rooms have terraces with sea views. 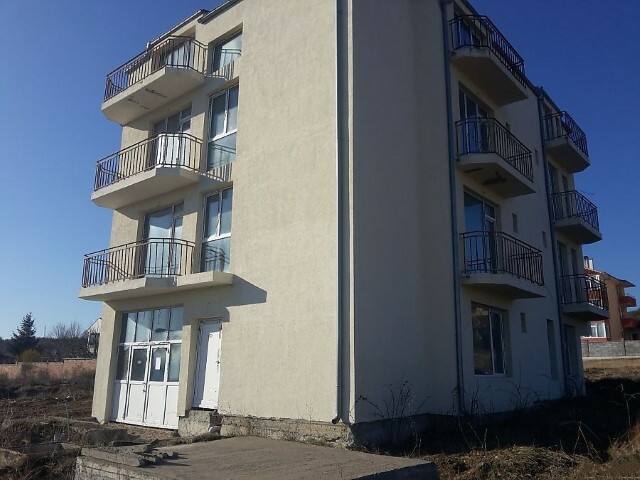 The building is brick, with monolithic construction, with external insulation of the facade with 6 cm thick and with mineral plaster and 10 cm thick rock wool and membrane of the roof, PVC joinery, electrical installation, plumbing and sewerage. 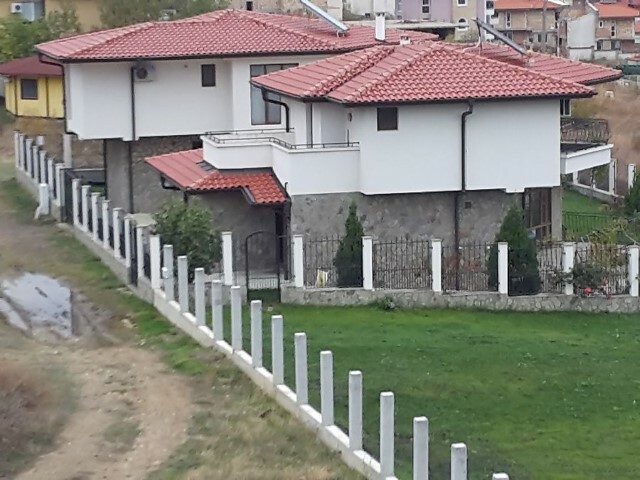 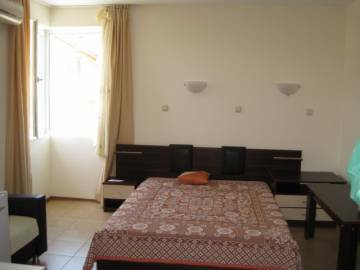 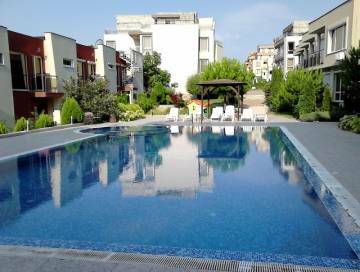 It is suitable for holiday needs - a family hotel with a capacity of 20 rooms or 40 beds (on a floor of 5 rooms) with terraces and a sanitary units or 12 separate rooms and 4 one-bedroom apartments, on each floor will be obtained 3 separate rooms with 2 beds with separate entrance, sanitary unit and terraces and 1 separate one-bedroom apartment with 4 beds with sanitary unit and 2 terraces. 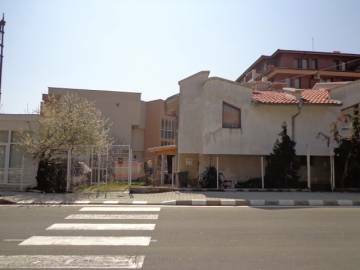 Each apartment has a parking lot.